Why choose Liniar plastic piling? Liniar’s trading company, HL Plastics, began manufacturing plastic piling in 1994 in Derbyshire and has constantly and consistently increased its share of the market as more customers become aware of the benefits. HL Plastics is part of the Flamstead Group of companies and has more than 40 years of experience in the plastic extrusion industry. Plastic piling is available ex-stock in a variety of lengths and is manufactured under the Liniar brand in HL Plastics’ own state-of-the-art factory in the heart of the UK. Our extrusion facility in Derbyshire boasts the largest mixing plant in Europe and continued investment keeps HL Plastics and Liniar at the forefront of innovation. We offer a versatile range of piling systems, including the traditional standard pile shape that can be configured as ‘Z-ribbed’ (for light use) or ‘box’ (for heavier use), and the facility for tying back and creating 90° corners. 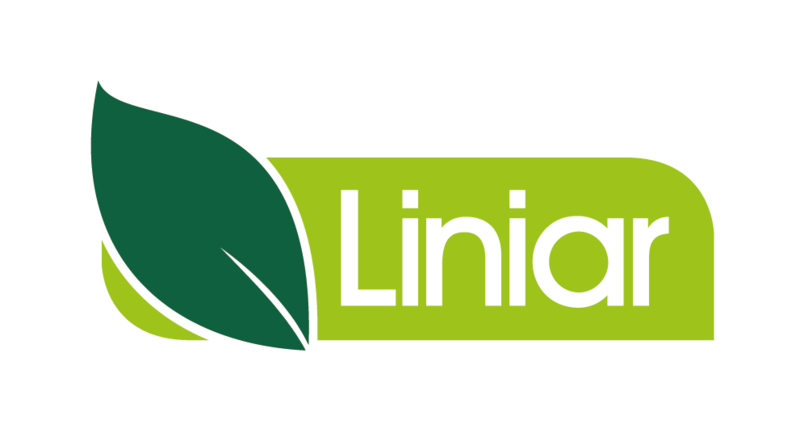 Liniar also offers a CPD UK accredited seminar for training purposes, so you can be sure you’re getting the right product to meet your requirements – just contact us to request a meeting at your own premises. Scale models of plastic piling are available on request – and by coming direct to the manufacturer, you can rest assured we can respond to requests quickly and efficiently. View our Log Pile Design Guide here or contact us for more information. Liniar has the capability to manufacture plastic piling in a wide range of lengths, direct from our UK factory. The plastic piling is generally produced in grey from 100% recycled uPVC materials, but it can also be made in a variety of colours to suit individual requirements (subject to minimum order quantities) and offers a cost effective alternative to the more traditional steel, timber or concrete piling. Colour will evolve naturally over 6-8 weeks before setting to it’s final state. This can be treated with a water-based stain. We manufacture a wide range of piling styles dependent on strength, ease of installation and type of appearance required. These include Standard Pile, Flat Pile, Trench Pile, Full Pan Pile and Log Pile. Plastic piling can be installed by mechanical or manual installation. In many situations, particularly when short lengths of plastic piling are being installed, it can be inserted into the ground using a maul and pile cap. This is often the case in peat land areas, where the ground conditions are more favourable. When installing longer lengths, or where the ground conditions are more difficult, a piling hammer should be used. The Liniar team can help you choose the most suitable type dependent on the application, and refer you to an appropriate rental supplier. Liniar’s plastic piling has a number of benefits over traditional steel, timber or concrete piling; mainly cost, durability, ease of handling and environment. One of the most popular uses for plastic piling is to stabilise slopes by the side of highways. The Transport Research Laboratory (TRL) conducted major research into the use of plastic piling and published a report into their findings – Guidance on the Structural Use of Plastic Sheet Piling in Highway Applications (ref: TRL 533). A copy of this research is available here. Unlike most piling systems, Liniar’s range is designed, modelled, tooled, manufactured and stocked in the UK. Liniar’s piling range is made from lead-free, 100% recycled uPVC, making it sustainable and environmentally friendly. Liniar invests in developing its range of uPVC products, with benefits for fabricators, installers and homeowners. The HL Plastics factory where Liniar uPVC piling is manufactured is accredited with ISO 9001 quality standards. All Liniar products are fully tested in-house and independently for robustness, durability, weather and quality. A whole range of accessories is available to accompany Liniar’s plastic piling, including pile caps and connectors.